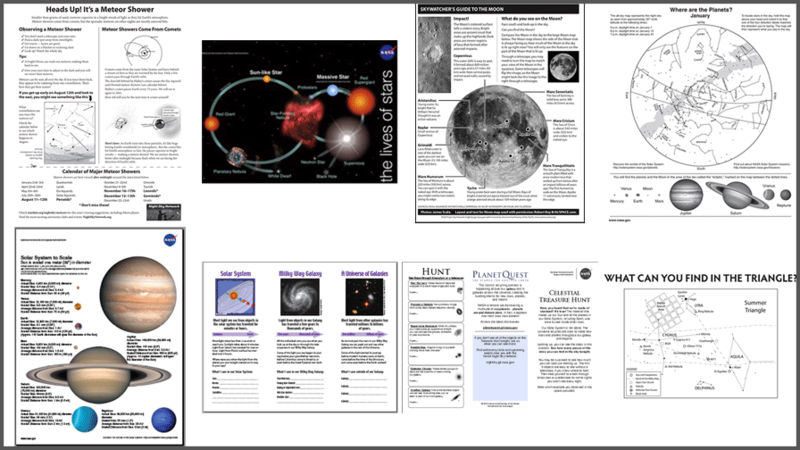 Looking for some quick and simple outreach materials? Want to give your visitors something to remember your event, engage their interest, or spark their interest in more astronomy? These handouts from the Night Sky Network may be just the thing you need! We've collected some of our most popular handouts below for your use. 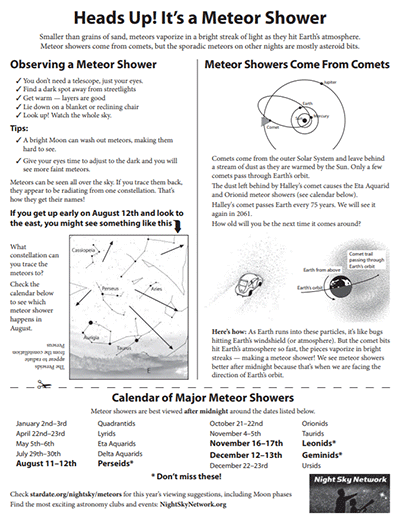 Print them out and distribute them at your next club meeting, outreach event, or star party. These are all free to download, print, and even edit if you wish - you can even include your club's logo! - but we do ask one thing: if you do use these at your event, just remember to mark that you used NSN materials in your club's event log after its over. 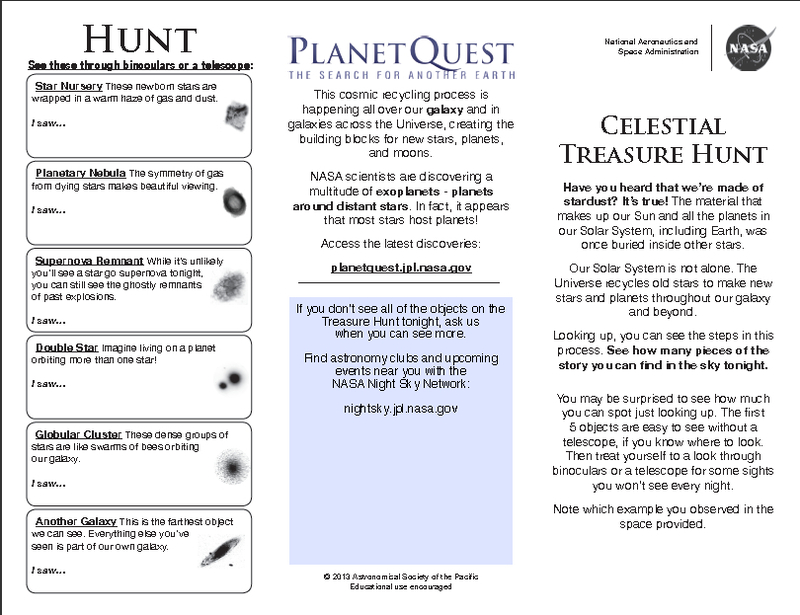 Give this Celestial Treasure Hunt handout to your star party visitors before they tour the telescopes so they can hunt for different types of astronomical objects during the evening. 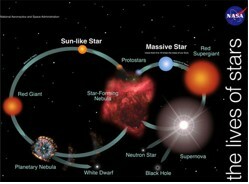 Discover the life cycle of stars and when supernovae happen with this activity and handout. Follow the moon in the sky after the eclipse! 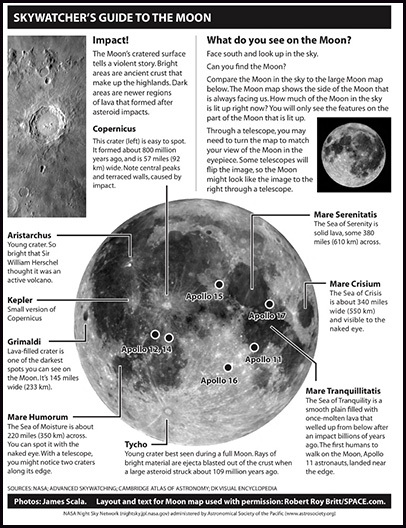 Use this moon map to identify some of its most famous features, find out where the astronauts landed, and what fills its "seas." 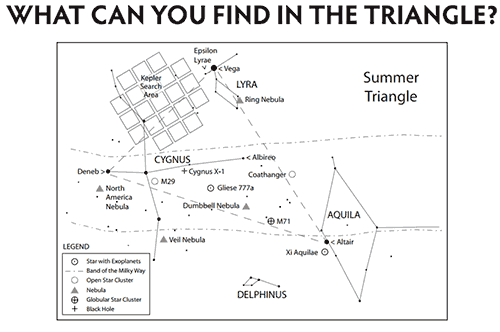 This activity and handout is a great way to organize a star party, and gives your visitors context to what they will be viewing as they tour the telescopes and observe a variety of naked-eye and telescopic treats that occupy the Summer Triangle. This "Passport Through Time" handout shows the difference between each of three different distance categories: within our Solar System, within the Milky Way, and within the rest of the universe. This is a companion handout to our scale model activity. 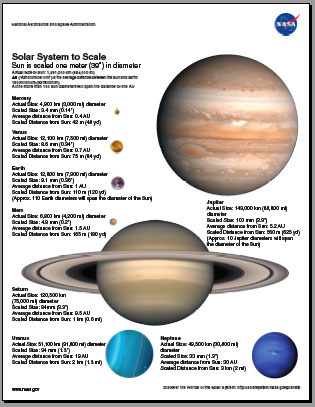 Your audiences can see for themselves how the various sizes of the planets compare to one another. 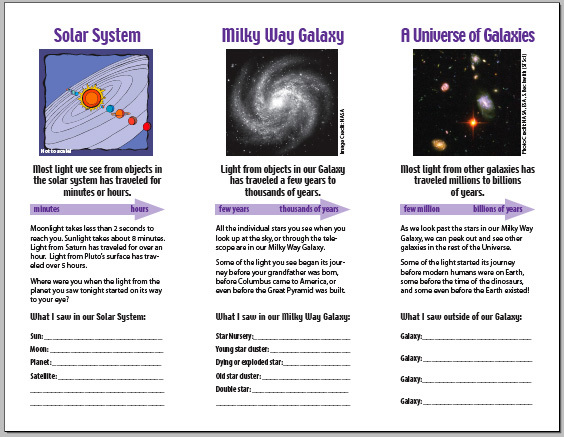 They can even cut the planets out from this handout to make their own solar system model! Star Maps; Where Are the Planets? Want to know what's up in our Solar System? 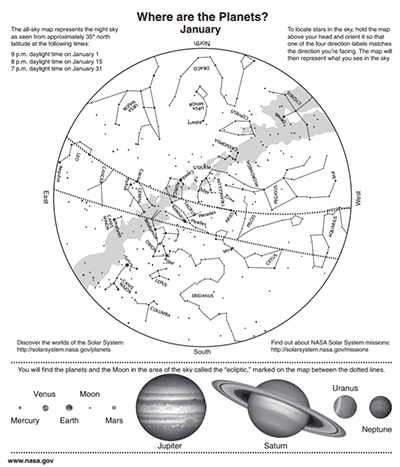 Use a star map and mark the current locations of the planets and Moon along the ecliptic for your own reference! Your visitors can mark the location of the planets they view with you tonight on these handy maps. We will add more handouts to this list as they are created. Clear skies!